A simple design, compote style, brass candle holder with a small spike in the middle which fastens a candle securely to the holder. 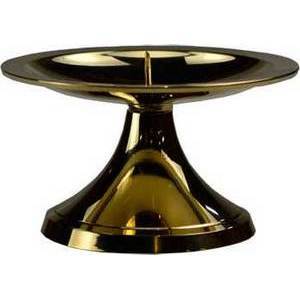 Designed to safely accommodate candles with a base of at least 7/8 inch diameter and up to a 3 inch diameter. Crafted from brass and measuring 1 and 3/4 inches by 3 and 1/8 inches.